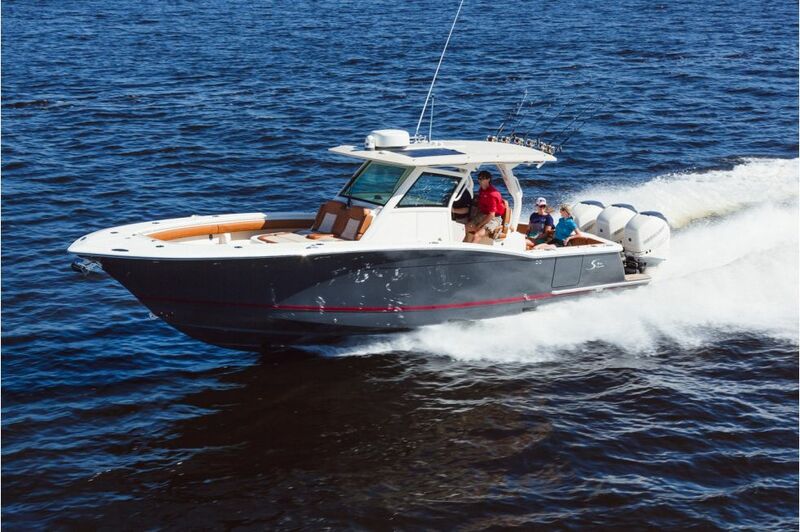 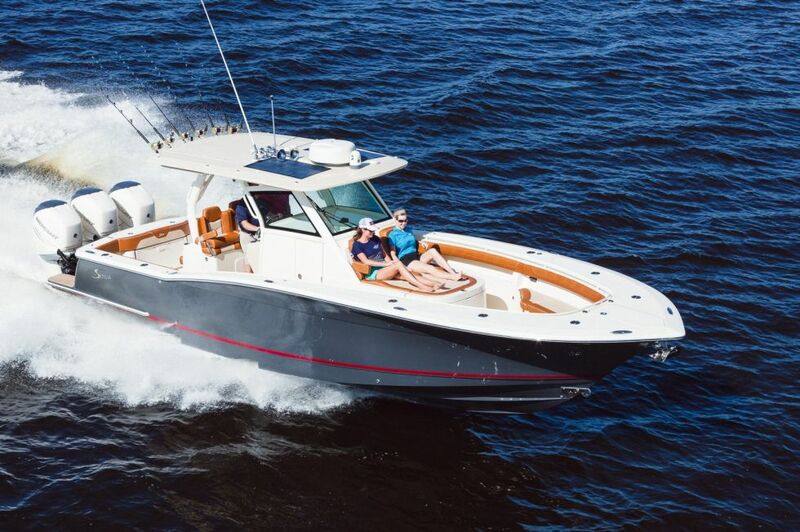 Our 355 LXF showcases unmatched performance with our Scout Dual Stepped Hull Technology. 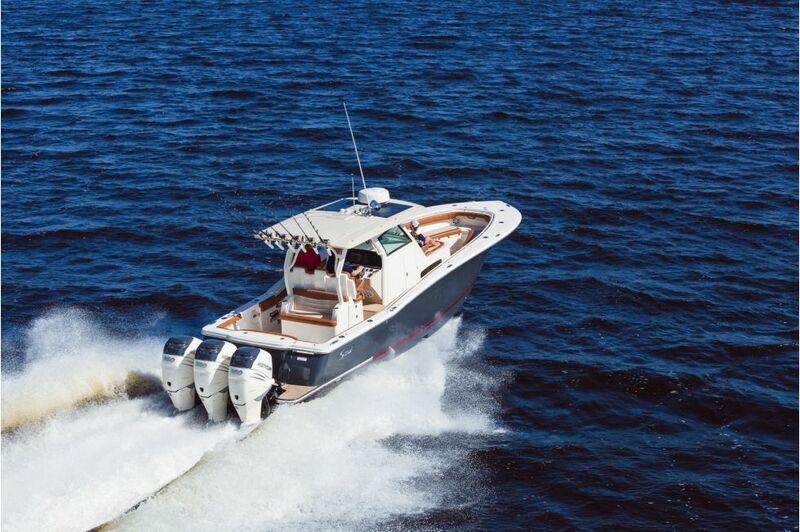 But high performance is just one attribute of this incredible model. 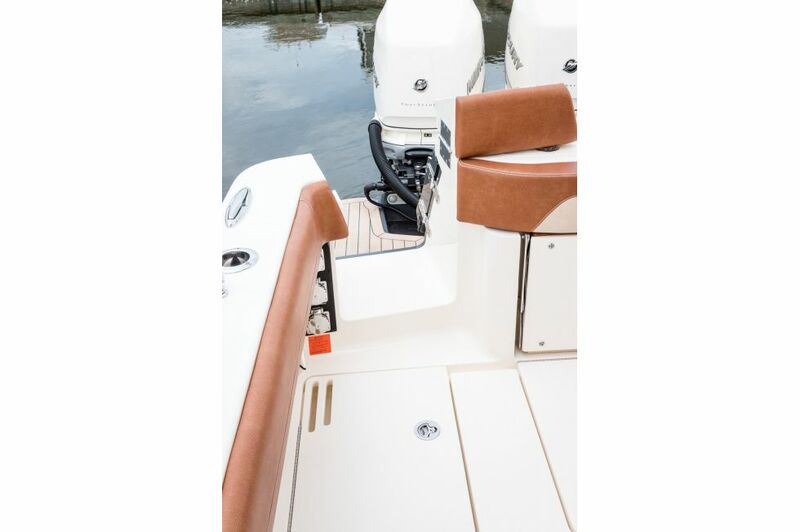 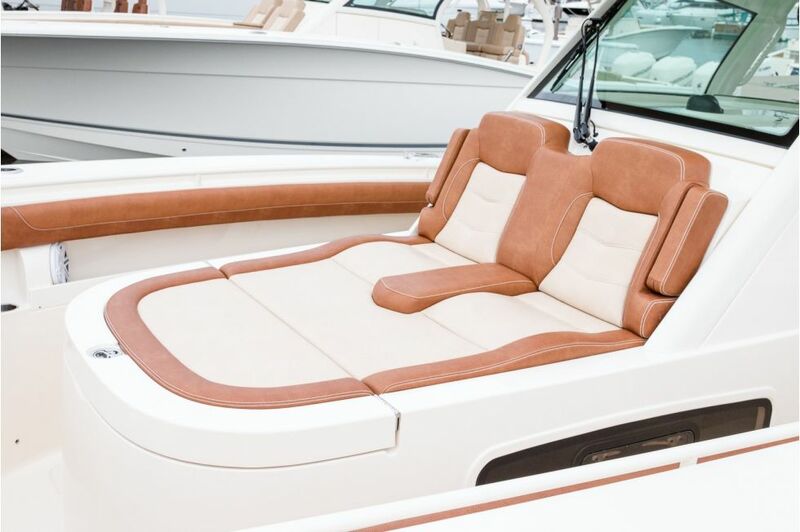 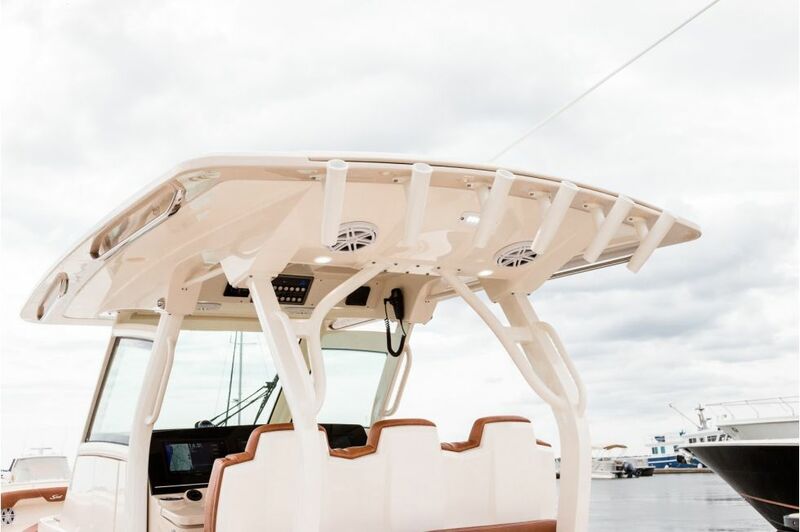 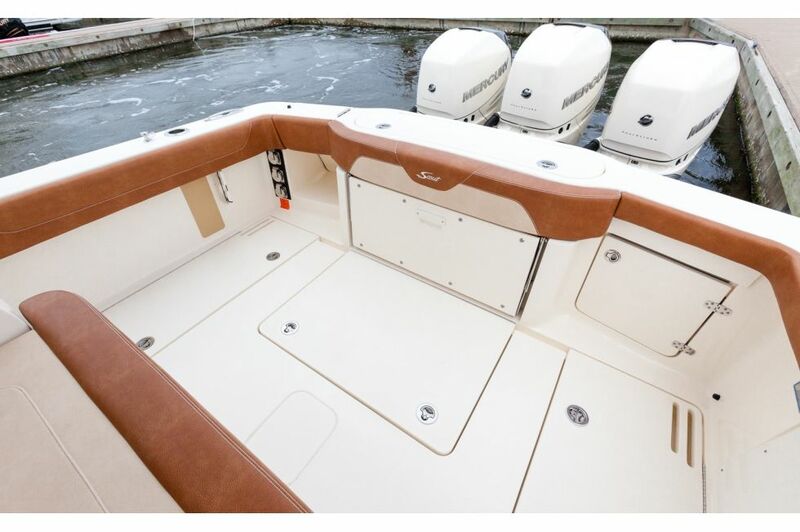 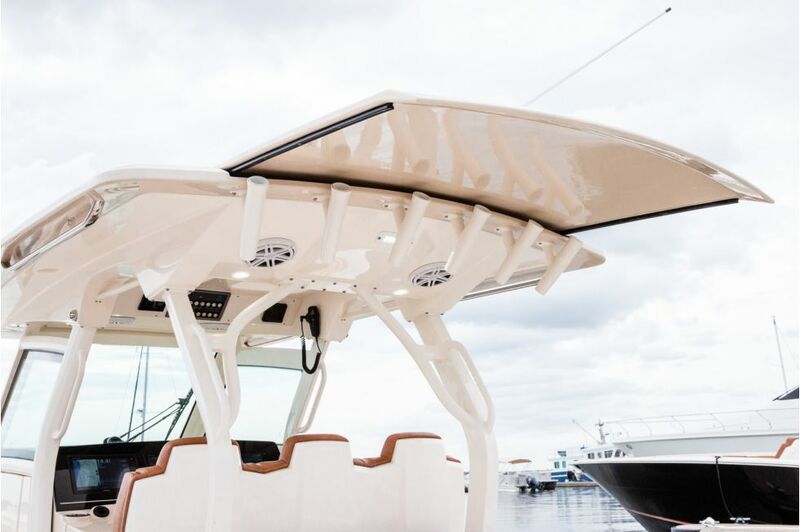 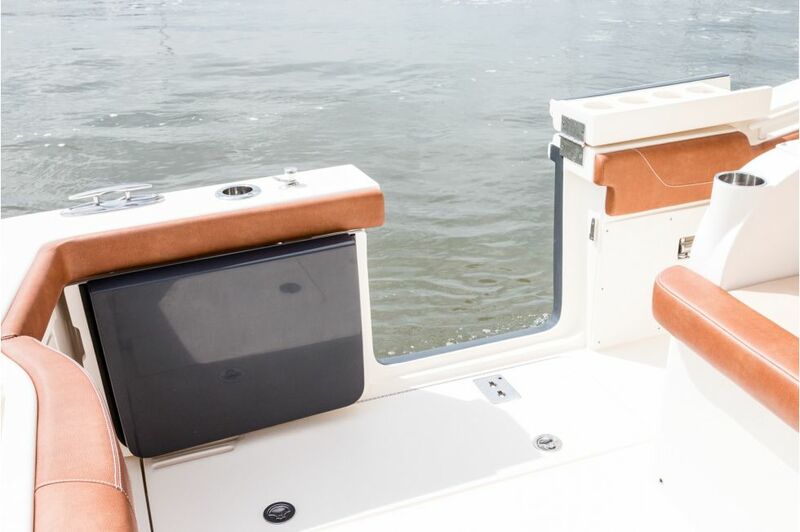 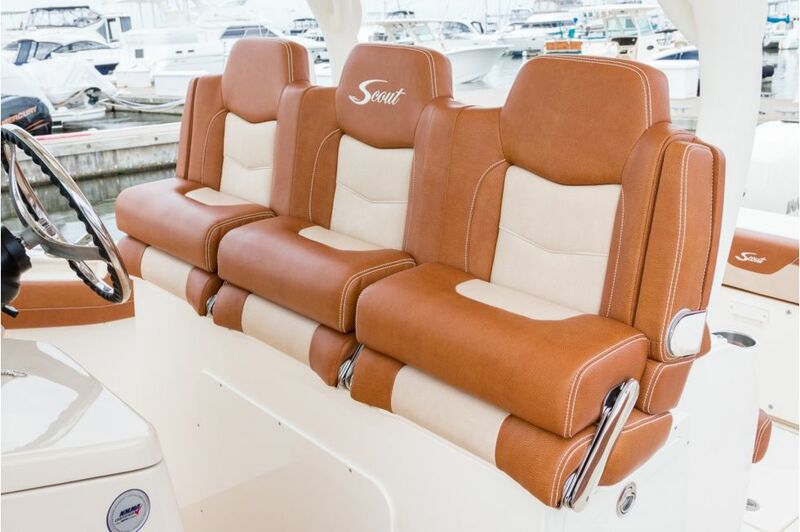 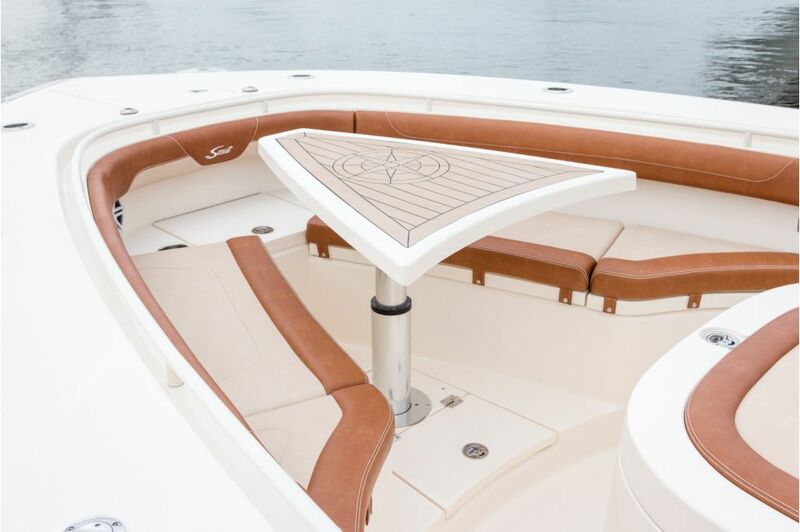 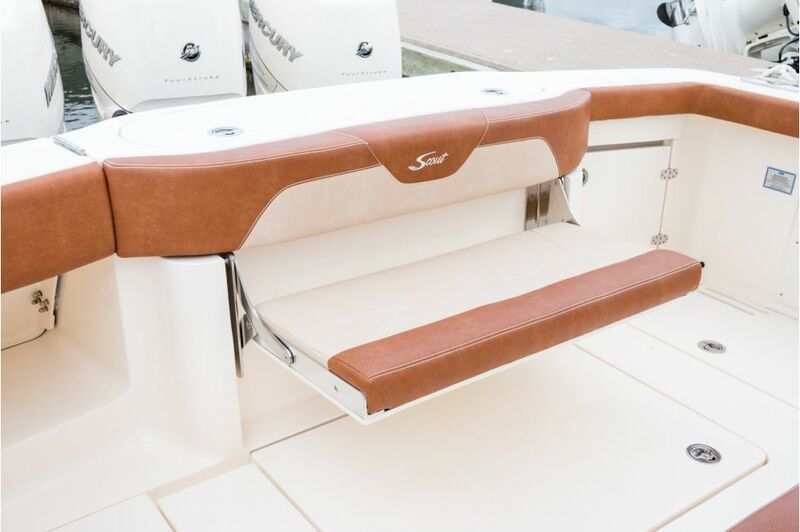 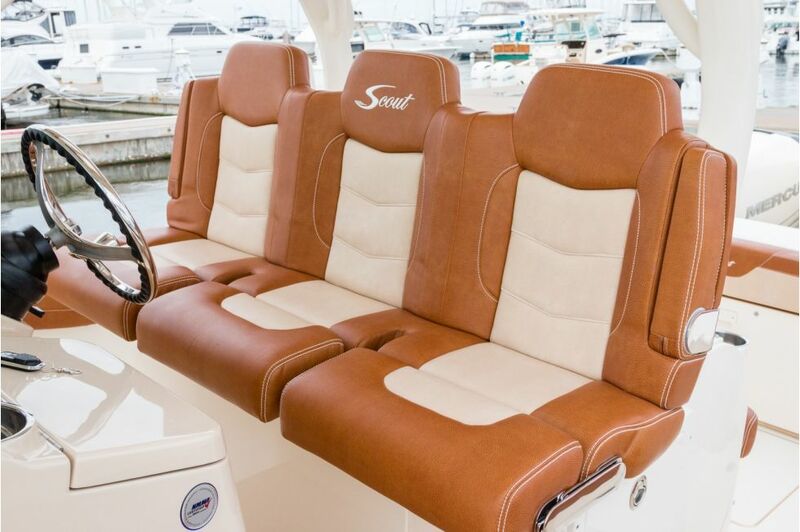 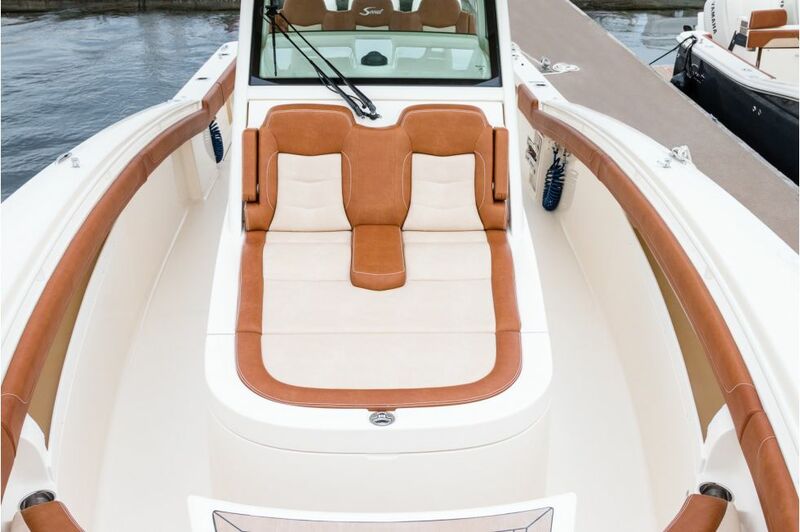 The deck was designed to accommodate a Seakeeper 3DC gyro stabilizer just under the aft-facing bench seat, and for protection from the elements, just engage the optional electric fiberglass cockpit Sun Shade. 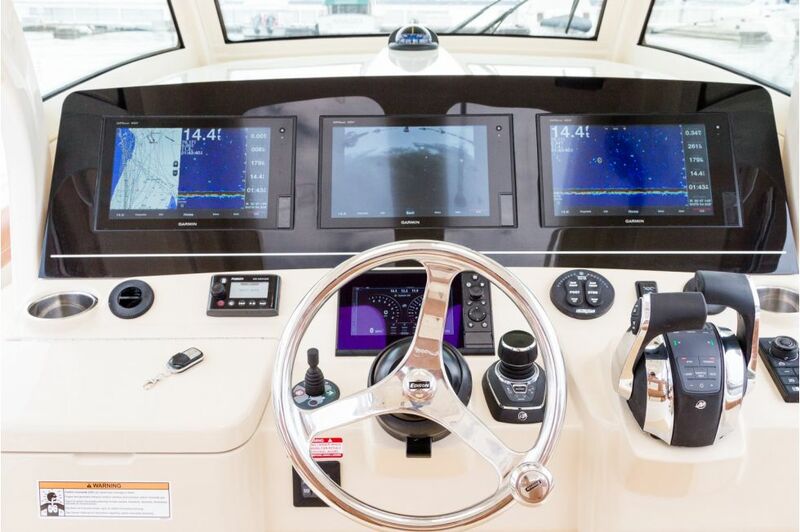 Other notable innovations on this model include standard independent heated seats both at the helm and in the forward console double sun deck lounge, a standard integrated forward-facing fish eye bow camera allowing you to see what’s going on in front of you via the helm touch screen displays, and solar panels that provide a trickle charge to AGM batteries when the Seakeeper 3DC is ordered for a longer battery life. 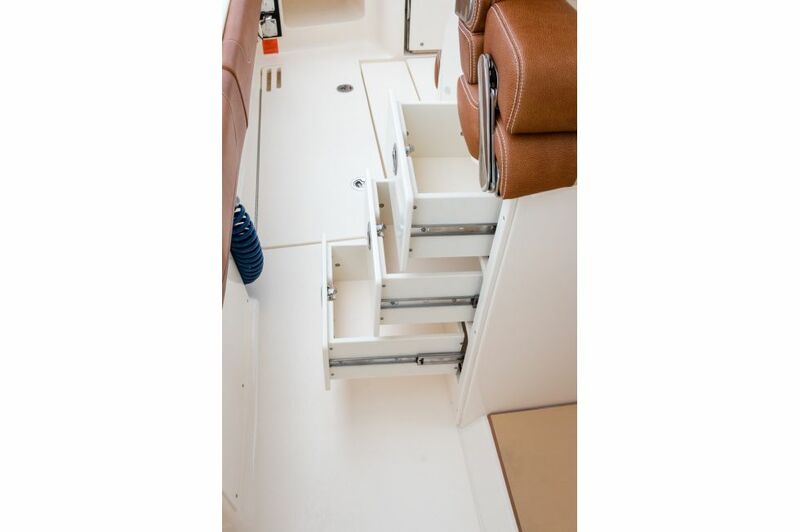 And that’s just above deck. 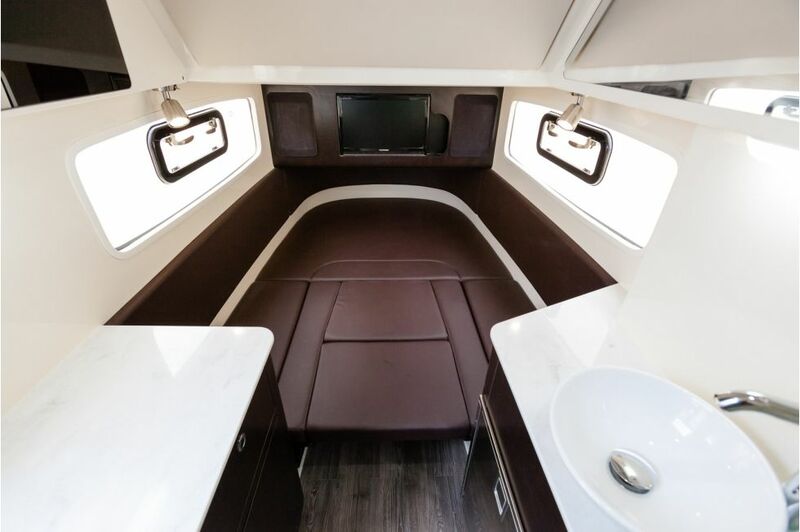 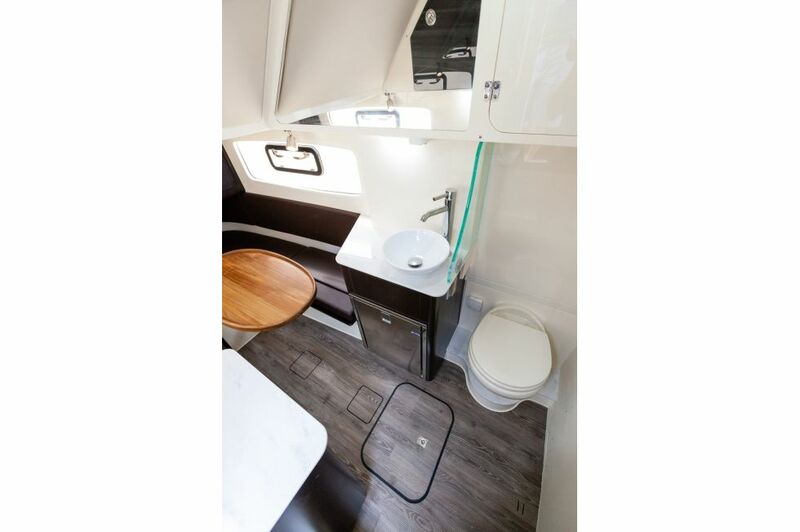 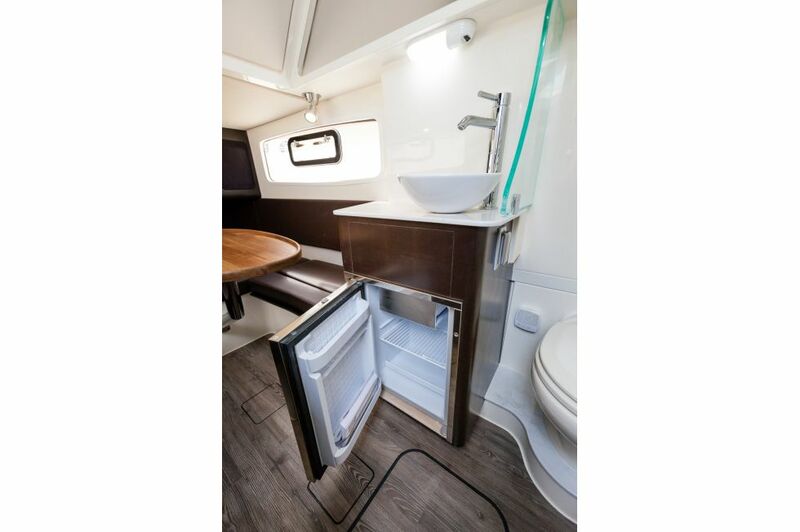 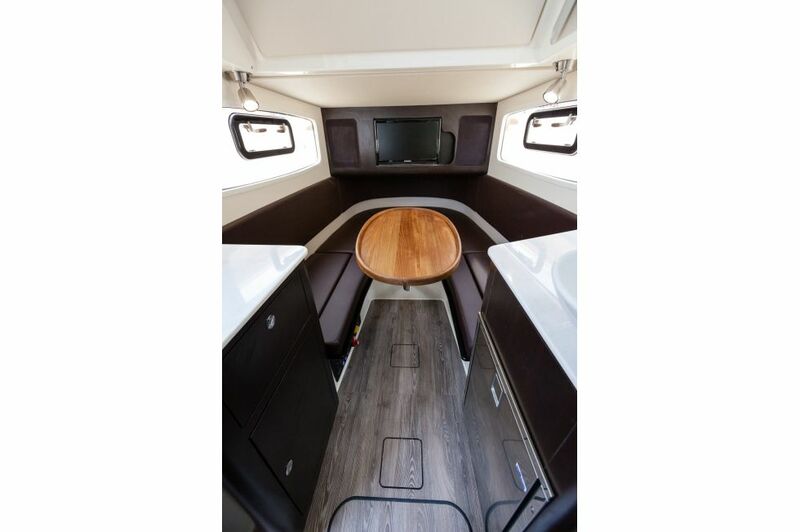 Just wait until you step down into the cabin and find all the luxurious appointments, headroom and attention to detail this beauty provides.